The denizens of a digital town have saved their community: Zynga is no longer shutting down the online game YoVille. Instead, the game's creators will buy it back and relaunch it as YoWorld next month. The deal comes after protests and pleas from the devoted fans of YoVille -- who create avatars that make friends, throw parties and essentially live life in a virtual town -- who were devastated when Zynga announced in January that the game would be dead by March. 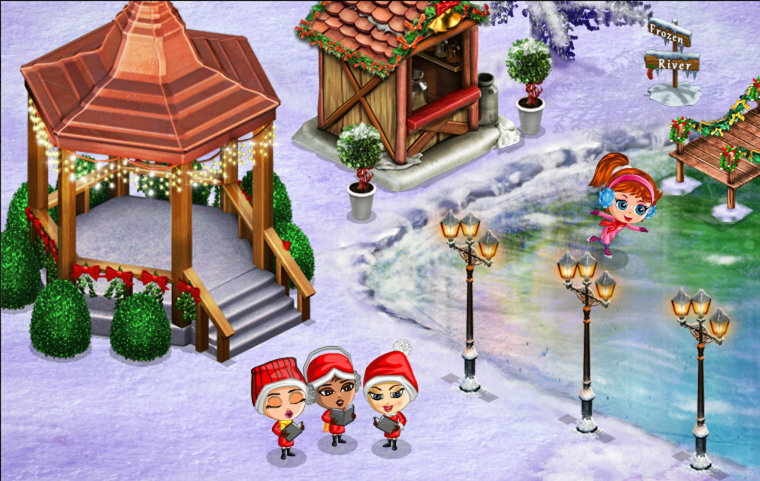 Zynga will instead transfer the game back to Big Viking, the creators who sold YoVille to Zynga in 2008. The switch will be complete May 12, after which the game will go offline for about 24 hours and relaunch as YoWorld. It's a happy end for the self-described "YoVillians," who launched in-game rallies and posted pleas via social media using the hashtag #SaveYoVille. They described their fear of losing a tight-knit community of global players from all backgrounds. The game had more than 19 million active players at its peak about five years ago, and about 430,000 now. "In short: #Save_YoVille status: COMPLETE!" Big Viking wrote in a post on the game's new site yoworld.com. Zynga posted a short message in the YoVille support section of its own website, as well as a frequently asked questions page about the game's transfer to Big Viking Games. Big Viking founder co-founder Albert Lai told NBC News in February that YoVillians sent cupcakes, cards and flowers to to the company's offices in Toronto and London, Ontario, begging them to save the game. “The massive outpouring of grief absolutely blows my mind," Lai said at that time. Big Viking closed its new homepage Q&A with the all-important question: What will devoted YoVillians call themselves now? Suggestions from the Big Viking office include YoWorldians, YoWos, YoYos and YoPeeps.